Whilst on the train up to Rovenemi I had no idea what we were going to make. 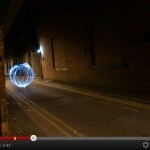 We had before in England made Light Sculptures, and then I had experimented with a moving orb of light in the streets of Manchester with Kim Rowley called Billy the Ball of Light. 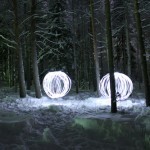 I had a vision of balls of light playing in the forest, a simple game of catch. But where would the snow sculpture come in? So the story became that the balls of Life were playing in the forest but then run away because they hear something approaching. 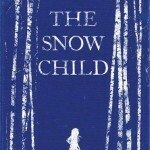 It is the girl made out of snow. She runs to try and find them but they are too fast. She then comes back to the spot where they were playing and crouches down to cry. 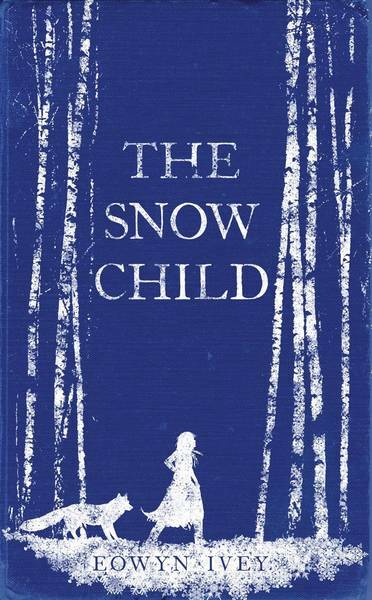 But one small ball of light is brave and compassionate, he comes to see this snow girl, he circles her and senses that her spirit is true. So he kisses her. And then they begin to play. 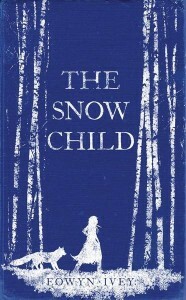 As I think on this the Bright White Landscape of mid day arctic Finland passes by the window of the train. We have only three days to make this! “I know, but I think we can do it, we just need some help.” And help we got, I cannot thank enough the students of The University of Lapland that helped to make the film, conscripted into action because they sat down at the same table with us, said Hello in the street, or worked with me in the Ice Hotel some days earlier. You were amazing! 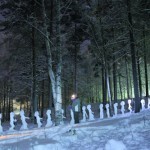 Waving lights around until 11:30 pm in a forest that was -27 degrees! And then the next day making 23 girls out of slush, water and snow in the street whilst people passed by watching our crèche grow. This was extremely tiring, as anyone who works in the cold knows, we were working flat out. And I was not immune myself. During the three days I had the advantage of being driven by the thing that can spur a person on beyond exhaustion, and that is an idea. But once the last frame of the film was clicked on the camera and the idea was secured my being collapsed. 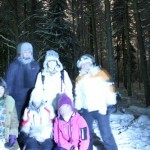 It was 2am in the morning by this stage and it was only Milja and myself that was left in the dark cold forest. I actually found it hard even to find the energy to speak. 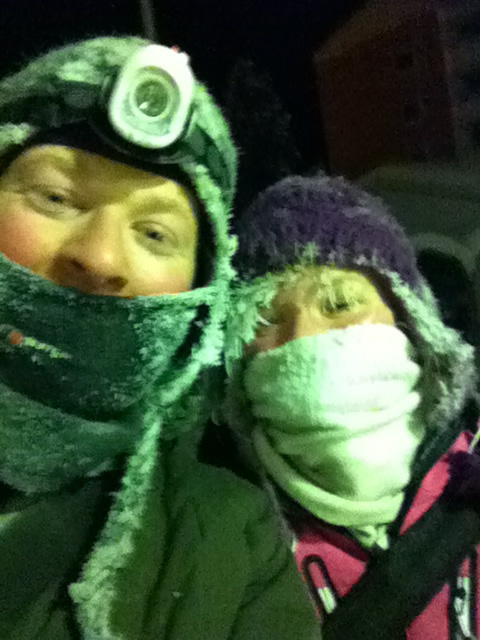 Milja and I walked home in silence pushing back the wheelie bin that we had ‘borrowed’ to help move the 23 snow sculptures, smiles occasionally cracking over our faces. 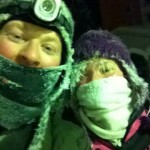 Jamie and Milja Kaukorinne at 2:30am, all finished! When I finally got into bed I had that quite rare feeling of a totally exhausted mind and body being warmed from the inside by a glow kindled by making and starting something rather special. Just over the way was Mija still energised and indefatigable. I would like to take this opportunity to thank Milha as her support was incredible and if it wasn’t for her enthusiasm and willingness to let use her house as HQ, then this would not have happened. I fell asleep with a soft smile on my face that night. ……unfortunately, I had to wake up two hours later to get a taxi to the airport. Amazing folk from the university of Lapland that helped out!